For the purposes of the PMR’s report "Software, ICT services and infrastructure in small and medium-sized enterprises in Poland 2012", our Research Division conducted a B2B market survey. The survey was concerned with small and medium-sized enterprises (SMEs) operating in the most promising sectors from the point of view of ICT. The respondents were company owners, board members, managers of IT, sales or marketing departments, and other staff members who were competent in the area of ICT applications in their company. 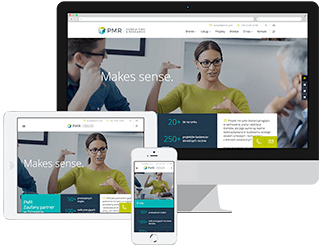 Research Division provides data to PMR’s reports on a regular basis, which allows to track trends and changes in the ICT market. In order to reach a target group of enterprises in Poland that would be as varied as possible, the survey used the CATI technique (computer-assisted telephone interviews). 800 interviews were conducted in small and medium enterprises, operating in seven selected areas of economy. In order to present a complete picture of the SME sector, a separate category was added, grouping the companies from other industries that use ICT solutions. The results of the survey have been presented in the form of nine chapters containing the findings for the entire SME sector, the seven analysed economic sectors, as well as one comparative chapter. The obtained data have shown the popularity of ICT solutions in small and medium enterprises in each of the selected industries. share of companies using EU funding when implementing IT investments. Full findings of the research can be found in the PMR’s report "Software, ICT services and infrastructure in small and medium-sized enterprises in Poland 2012".